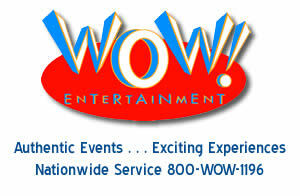 WOW Entertainment has exhibited at numerous trade shows & conferences throughout North America. As an exhibitor, we have experienced the need for trade show furniture rentals and event furniture rentals to offer to not only the attendees of our trade show booth but for our own staff to take a much needed rest from being on their feet for such long hours. These experiences has provided us ample opportunity in selecting trade show furniture with certain criteria in mind. That criteria contained the following objectives; the trade show furniture has to be comfortable, has to be sturdy yet easy to move, not too heavy so as to avoid excessive drayage fees, easy to clean, can be properly protected for moving purposes and will not put a huge dent in our corporate wallet. The selection in the trade show furniture rental category has worked for us and we are confident that depending on your trade show furniture needs that these items will work for you as well.